Not only will there be singing, but surely some stamping and clapping also? We may not all have the pipes of Mr Mercury, but the volume will be up so it will not matter if you can’t hold a tune. The ticket will include a glass of bubbles on arrival to lubricate the vocal chords and get you in the singing mood. 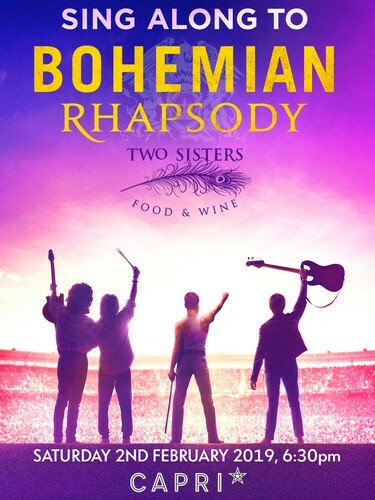 Stick around after the movie for a little soiree in the foyer with a drinks special if you’re sporting a Freddy moustache and scrummy food packs available from the team at Two Sisters. Grab all your friends and Book online today!